Higher interest rates and mortgage stress tests are expected to further dampen the real estate market. Here's what to expect in four different markets. Canada’s real estate market will likely see further correction in 2019, as fears of higher interest rates and stress tests continue to weigh on the sector, according to analysts. After a moment of double-digit growth in the key markets over the past few years, Canada's real estate sector has come back down to earth in 2018, broadsides by tighter rules. Home sales activity was down 12.6 per cent from year-to-year in November, which is below the 10-year average for the month, according to the Canadian Real Estate Association. CREA expects home sales across the country to decline to the lowest point in nine years in 2019. “We are in a broad-based real estate correction in 2018, and we think that it will take the year to work its way free of the overshooting that occurred in 2014 through 2017,” said Phil Soper, president of Royal LePage. A key factor driving activity next year would be interest rates, which, until recently, were expected to edge higher as Bank of Canada were looking to "Normalize rates." The bank raised the benchmark interest rate to 1.5 per cent in July, but has since appeared to have reined in its enthusiasm amid a slowing economic environment. A rate pause would come as a relief to mortgage buyers at a time when Canadians’ household debt to disposable income is at a record level of 170 per cent, Canada Mortgage and Housing Corporation’s estimates show. “In the most expensive cities in Canada which are Vancouver and Toronto a quarter of one percentage point on an average house does become pretty significant,” said Soper. Another key driver in 2019 will be the looming shadow of Bill B-20, imposed in early 2018 by the Office of the Superintendent of Financial Institutions. The “stress test” required banks to assess people’s ability to pay assuming interests were either two per cent higher, or greater than the five-year benchmark rate published by the Bank of Canada. Royal LePage and PricewaterhouseCoopers predict the stress test will continue to weigh on the markets in 2019. The squeeze on millennials comes as a large demographic in the age group look to buy their first house. This will likely strain the already saturated markets in Toronto and Vancouver. In the Greater Toronto Area alone, 700,000 millennials will be in the market for a home in the next decade, according to a study sponsored by the Ontario Real Estate Association. But cutting off young buyers could have sequential effects next year, says Elton Ash, RE/MAX Regional EVP for Western Canada. Royal LePage expects the greater Toronto area market to make modest gains, with home prices rising 1.3 per cent, while RE/MAX are forecasting a two per cent gain. Between 2017 and 2018, home sales dropped by 16 per cent, from around 80,000 to less than 68,000. With prices still at elevated levels, RE/MAX estimates this number will continue to drop next year. However, Alexander says there is no shortage of demand — immigration to the greater Toronto area will continue to have an impact on the market. Analysts are divided over the prospects for the Vancouver real estate market. 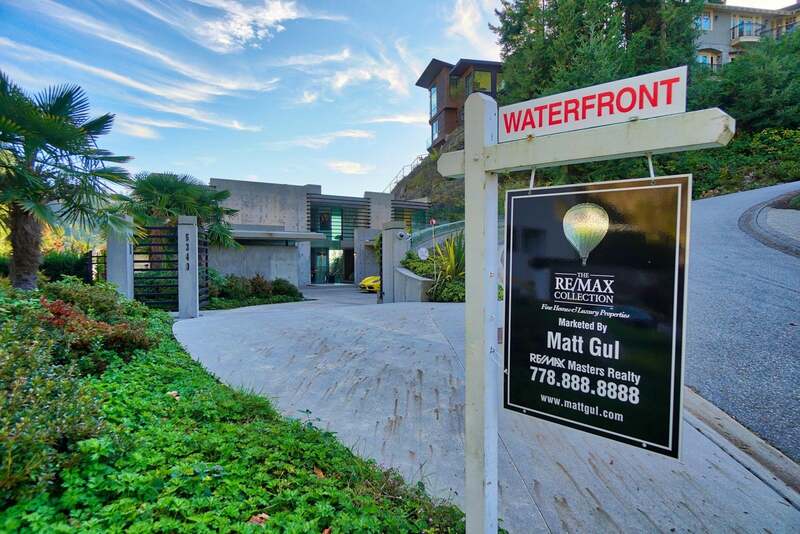 While Royal LePage forecasts Vancouver properties to stay relatively flat on average, PwC estimates a 2.9 per cent gain, and RE/MAX estimates a three per cent drop in average residential sale prices in 2019. While the economic outlook is good, activity from foreign buyer is expected to slow down. Vancouver’s empty home tax, where properties deemed vacant are subject to a one per cent tax on the property’s 2018 value, will continue to deter overseas buyers. But RE/MAX’s Ash said the foreign buyer tax is not felt by all investors equally. While the 20-per-cent tax is off-putting to many, Chinese buyers look at the tax as “a cost to do business.” He anticipates the trend will continue in 2019. Even with reduced foreign ownership, McClintock says low affordability rates will continue to be a problem next year. Yet Soper said he doesn’t see Quebec’s most populous city surpassing Vancouver or Toronto in foreign investment in 2019, given that inventory is tight in Montreal and building hasn’t kept up with demand. He also notes that Montreal does not have a similar community of immigrants as Toronto and Vancouver. Median home prices in Calgary are expected to decrease 2.3 per cent in 2019, according to Royal LePage, citing persistently weak oil prices and the resulting low buyer confidence. RE/MAX estimates the average residential sales price will remain flat but could shift dramatically in 2020 because of the province’s dependency on oil. Alexander notes that in 2014 a similar oil market in Alberta and Newfoundland moved the real estate scales. Calgary’s housing market remains oversupplied, with vacancy rates around 6 per cent, according to the Canadian Mortgage Housing Corp. However, new residents could fill up empty properties in the years to come, with the city’s population estimated to grow by 26,300 annually, according to an October 2018 report by the City of Calgary. For more detailed information about this topic please do not hesitate to contact me at 778.888.8888 or email me at matt@mattgul.com.